Did you make resolutions this year? We did! Sure, it is a few weeks into the new year, but we wanted to let you in on our company-wide resolutions for 2018! The new year is upon us and January is always the time for making (and breaking) resolutions. 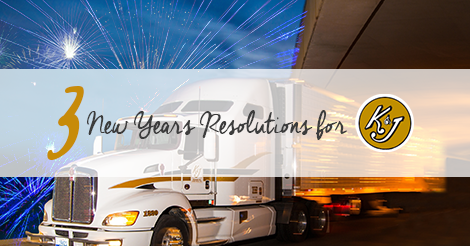 At K&J Trucking, we have a vested interest in OTR drivers, so we have some resolutions we think you should consider as you make goals for the New Year! At K&J Trucking we are always trying to push forward to make our business better. 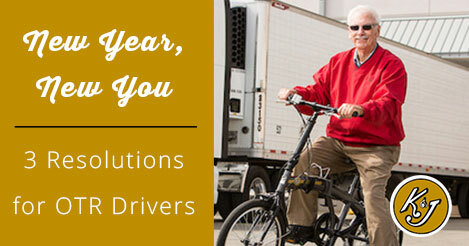 We want to serve our customers well and treat our drivers right. In the spirit of New Years, we thought it would be fun to come up with a list of resolutions for this year at K&J.